Cheonggyechon Stream in downtown Seoul was a free-flowing waterway before it was decked between 1958 and 1977 then topped with a freeway between 1967 and 1977. 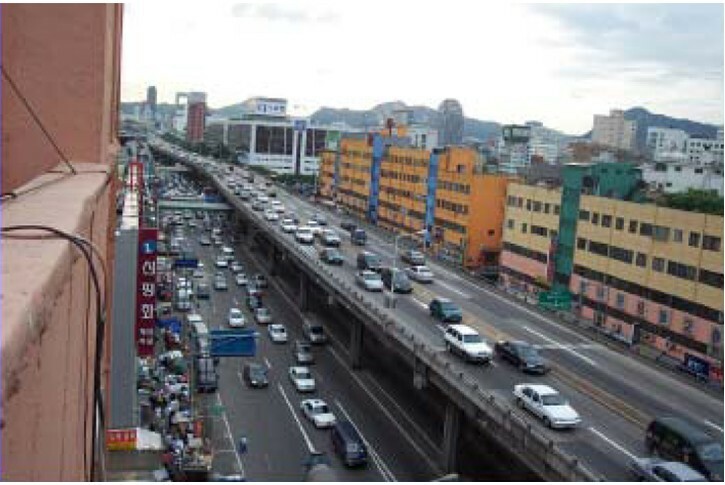 The elevated freeway and concrete deck covering the Cheonggyechon Stream in downtown Seoul was removed in beginning in 2003. The project was initiated by former Mayor Lee Myung-bak. 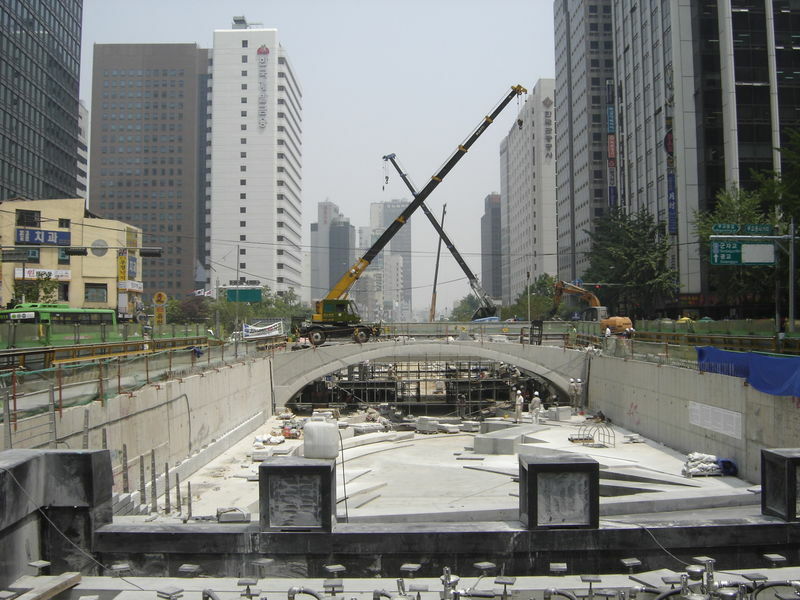 The 5.8 km stream restoration and infrastructure project was completed in 2005. The photograph, above, was taken from a bridge, shown below, looking west.